Elizabeth and Sr. Mary Stella have created a special Stations of the Cross for Lent 2014. 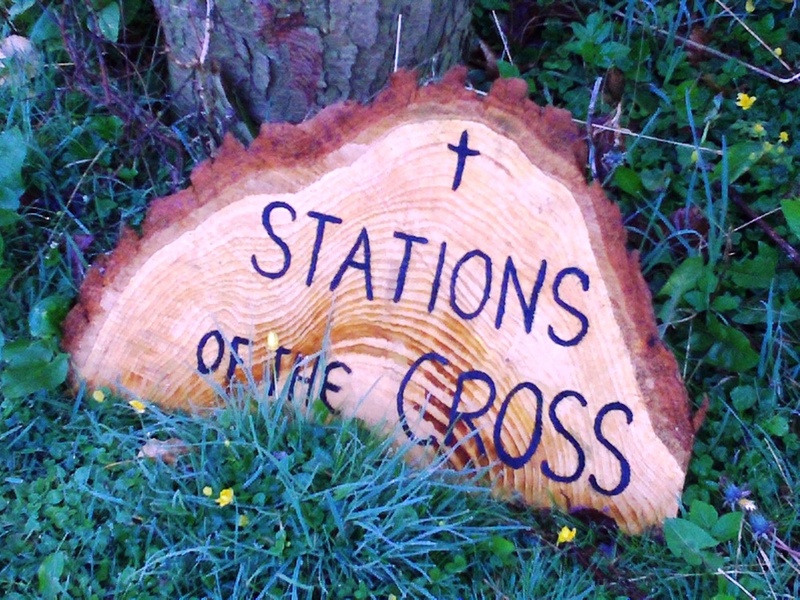 They used wood from our garden and with very simple crosses, words and logs have created a very simple reflection on the Way of the Cross for people to follow in the garden. For all those who cannot follow this way with us in our gardens we have tried to create a virtual tour for you to follow. The reflections you will hear are taken from the book of the Right Reverend Michael Campbell OSA, Bishop of Lancaster. We hope the simplicity of the Stations and the beauty of the wood and the words will help you reflect and pray with us as we journey to Easter. At the end of each station we invite you to pray the Our Father, the Hail Mary and the Glory be.